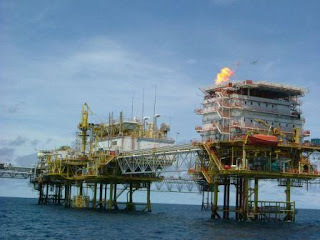 The personnel shall possess a recognised degree / diploma in Engineering and have at least eight (8) years of working experience in oil and gas, preferably hook-up and commissioning of offshore platforms, chemical plants, petroleum refineries, gas compression facilities, water treatment plants or other related petroleum proc-essing plant. In addition, the personnel shall have served for at least three (3) years in this position. The personnel shall be able to develop the system definition and prepare all neces-sary testing & commissioning procedures and handover & acceptance criteria to be included in the Commissioning Manual. He/she must be able to plan, organise and coordinate testing and commissioning work at sites. The personnel also must be highly skilled in troubleshooting. The personnel shall possess a recognised degree / diploma in Engineering and have at least six (6) years of working experience in oil and gas, preferably hook-up and commissioning of offshore platforms, chemical plants, petroleum refineries, gas compression facilities, water treatment plants or other related petroleum processing plant. In addition, the personnel shall have served for at least three (3) years in this position. The personnel shall be able to develop the overall planning of work activities and perform scheduling of activities (into logical network) from the jobcards developed by the workpack team. He/she must be conversant with use of application software for scheduling e.g. Microsoft Projects, Artemis etc. The personnel shall be able to track actual progress of work at sites and advise necessary changes in planning if necessary. The personnel shall possess a recognised degree / diploma in Engineering and have at least eight (8) years of working experience in oil and gas, preferably in in-stallation, hook-up, testing and commissioning of mechanical and piping equipment associated with offshore platforms, chemical plants, petroleum refineries, gas com-pression facilities, water treatment plants or other related petroleum processing plant. In addition, the personnel shall have served for at least three (3) years in this position. The personnel should be familiar with P & ID, piping plan, isometrics, rotating ma-chineries, material handling equipment pressure vessel and other miscellaneous equipment. He/she must be able to prepare jobcards/workpack and perform field work during hook-up and commissioning. The personnel shall possess a recognised degree / diploma in Engineering and have at least eight (8) years of working experience in oil and gas, preferably in in-stallation, hook-up, testing and commissioning of mechanical and piping equipment associated with offshore platforms, chemical plants, petroleum refineries, gas com-pression facilities, water treatment plants or other related petroleum processing plant. In addition, the personnel shall have served for at least three (3) years in this position. The personnel should be familiar with structural drawings, structural cutting plans, design structural analysis and construction execution plans. He/she must be able to prepare jobcards/workpack and perform field work during hook-up and commission-ing. The personnel shall possess a recognised degree / diploma in Engineering and have at least eight (8) years of working experience in oil and gas, preferably in in-stallation, hook-up, testing and commissioning of electrical equipment associated with offshore platforms, chemical plants, petroleum refineries, gas compression fa-cilities, water treatment plants or other related petroleum processing plant. In addi-tion, the personnel shall have served for at least three (3) years in this position. The personnel shall be knowledgeable and experienced in the installation, hook-up, testing and commissioning of electrical equipment including power generation, HV & LV switchgears, MCC, transformers, motors, heaters etc. He/she must be able to prepare jobcards/workpack and perform field work during hook-up and commissioning. The personnel shall possess a recognised degree / diploma in Engineering and have at least eight (8) years of working experience in oil and gas, preferably in in-stallation, testing and commissioning of instrumentation, control and safety systems associated with offshore platforms, chemical plants, petroleum refineries, gas com-pression facilities, water treatment plants or other related petroleum processing plant. In addition, the personnel shall have served for at least three (3) years in this position. The personnel shall be conversant with field instruments (including „smart‟ devices), Distributed Control System (DCS), Programmable Logic Controller (PLC), Fire and Gas System, Alarm and Shutdown (ASD) System, Wellhead Control Panel, Closed Circuit Television, turbo-machineries control, metering systems and pneumatic sys-tems. He/she must be able to prepare jobcards/workpack and perform field work during hook-up and commissioning. The personnel shall possess a recognised degree / diploma in Engineering and have at least eight (8) years of working experience in oil and gas, preferably in ro-tating equipments associated with offshore platforms, chemical plants, petroleum refineries, gas compression facilities, water treatment plants or other related petro-leum processing plant. In addition, the personnel shall have served for at least three (3) years in this position. The personnel shall be able to correctly interpret turbine and compressor perform-ance test results, in depth knowledge on the supervision, installation, commission-ing or maintenance of gas turbine machine. He shall also be able to apprehend vi-bration analysis, dynamic balancing and mechanical seal/bearing application. He/she must be able to prepare jobcards/workpack and perform field work during hook-up and commissioning.